Josephine C. Adams, age 74, of Broxton, Georgia passed away on Monday October 15, 2018 at Coffee Regional Medical Center. Mrs. Adams was born on February 26, 1944 in Coffee County, Georgia the daughter of the late Leland Carter and Eudine Sellers Carter. 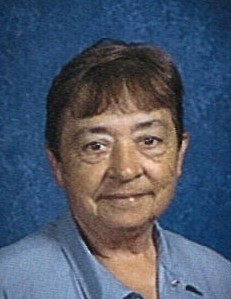 She worked with the Coffee County School System as a custodian for over 33 years and was member of Broxton Baptist Church. Mrs. Adams was preceded in death by a son, Kenny Myers, daughter-in-law, Debbie Myers and granddaughter, Christine Myers. Survivors include her husband, Buddy Adams of Broxton, GA; daughter, Gina Marie Myers of Broxton, GA; two grandchildren, Jeremy Myers (wife Mary) of Broxton, GA and Jamie Myers of Broxton, GA; three great grandchildren, Jerri Lynn Lindsey (husband David), Chelsea Wolfe and Ainsley Myers; two great great grandsons, Hunter Myers and Case Lindsey; several nieces and nephews. Funeral services will be held Wednesday October 17, 2018 at 2:00pm at Broxton Baptist Church with Rev. Milton Pate officiating. Mrs. Adams will lay-in-state Wednesday from 1 until 2pm at the church. Interment will follow at Broxton City Cemetery. The family will receive friends Tuesday evening from 6 until 9:00pm at Sims Funeral Home. Sympathy may be expressed by signing the online registry at www.simsfuneralhome.com. Sims Funeral Home in charge of arrangements.